The zone is now signed. Next, we need to generate a DS-record and have this included in the parent zone. Now we need to copy this record to the parent zone. The way this is done varies for each domain name registrar. 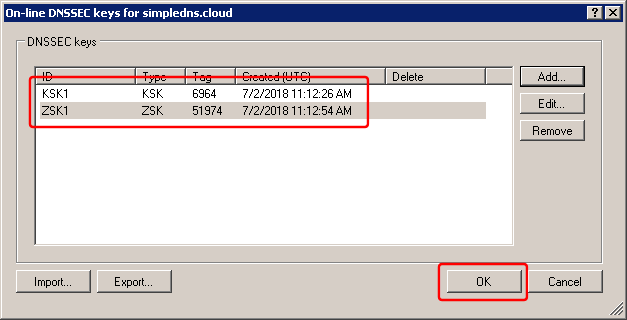 As an example, with "name.com" (a domain name registrar), you log into your account, select "My domains", click the "Quick Links" drop-down next to the domain name, and select "Edit nameservers". On the "Edit Nameservers" page, there is a link to "DNSSEC Management page". And here there is a form to enter the DS-record data. 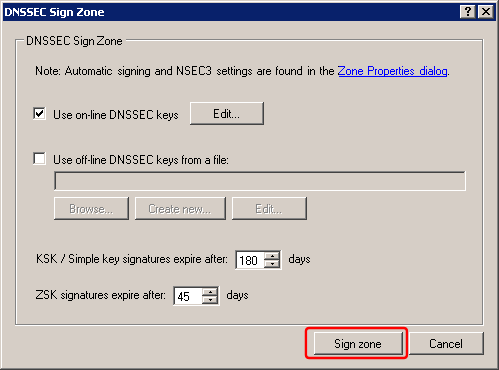 Finally we can configured the zone to be automatically re-signed whenever we update its records. 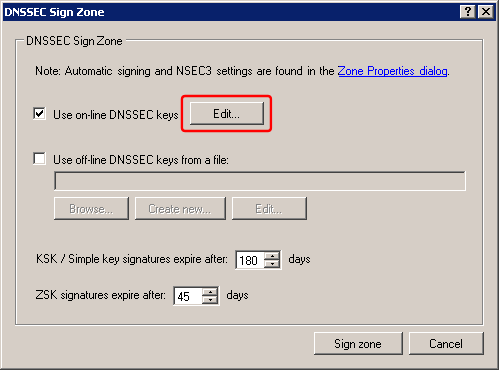 This opens the Zone Properties dialog on the DNSSEC tab. Can this be done through the HTTP API? 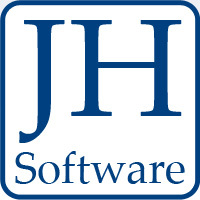 We have just released v. 8.0 which supports this. Should there not be generated more than just 1 key, like in your guide? Plesk DNS in ex. generates 4. The guide above describes adding two keys - a KSK and a ZSK. This is all you need to begin with. During "rollovers" (introducing new key), you might have 3 or 4 keys. Plesk may be using a "pre-publish" rollover scheme - where keys are introduced before actual usage. 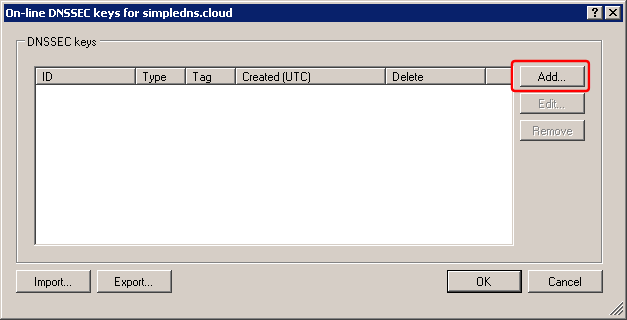 You can do this with Simple DNS Plus too (DNSKEY-only setting), but not in an automated way. "The server appeared to understand EDNS by including RRSIG records, but its response included no OPT record."